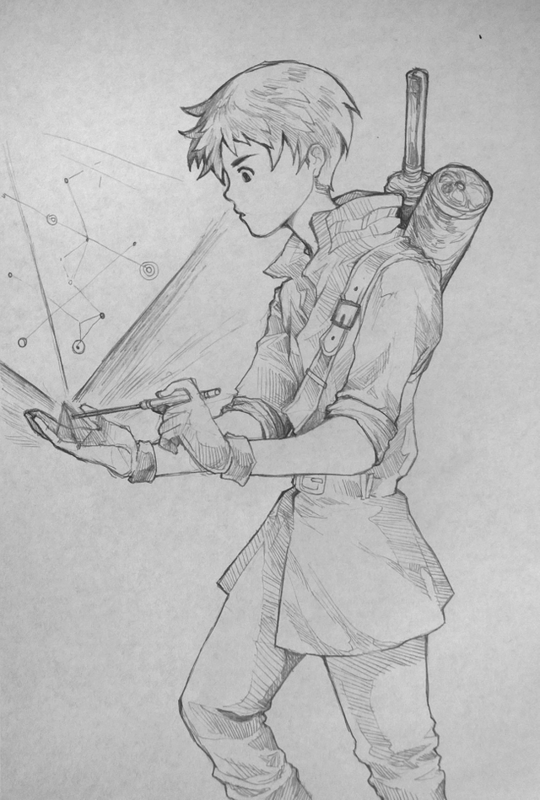 First pencil art for 2019 :D My other favourite arting weapon is the humble pencil! I love both the mechanical and the traditional pencil but I do have a slight preference for the mechanical one (just slightly) ! 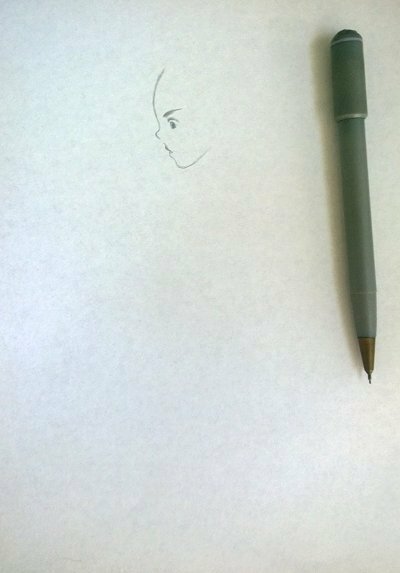 Step 3: ... Yeah, so since I draw without planning sometimes I start to work in details onto the parts that I like. The jacket, in this case. Today is the first Saturday of 2019 :) I was tired from the workweek, but now I am sitting down and thinking to reflect about 2018. Not just the good and the bad of it, but about the entire passage of it. Time. Time doesn't come back. It only moves forward. 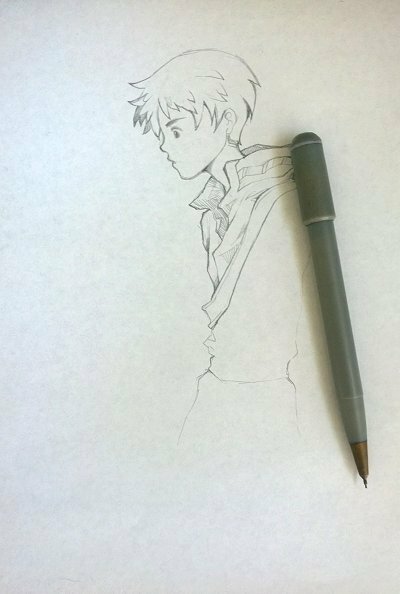 Waahh a nice pencil sketch! I really like the folds on the pants, and your shading of the cloth, those are my favourite parts. 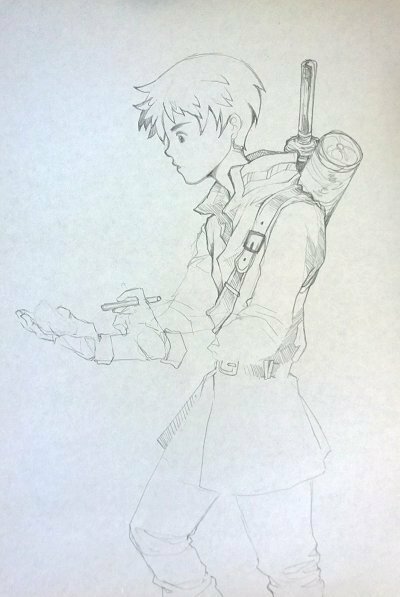 The inquisitive expression is great as well, they seem like a great treasure hunter :D.
I never get tired of seeing step by step artworks. 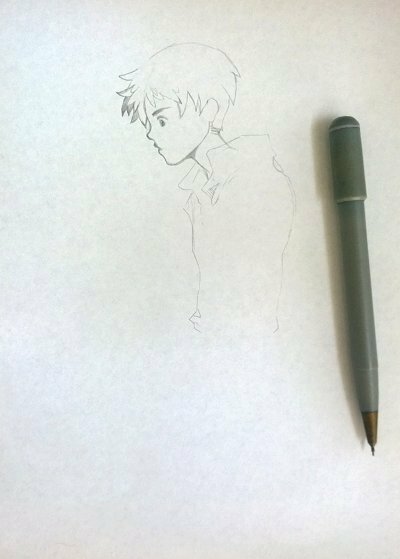 The creation process of your drawing is like watching a fast-forwarded video of a blooming flower. Yeah! I think we should always be able to look back and think, "That's fine. That was precisely what I had wanted to do at the time given all the options that were available!" 👏👏👏 love this character design! Thanks, @bdmillergallery ! Yep, familiar things are really great ! They put your minds at ease, so you can create ! He is cute @veryspider! A young Indiana Jones :) I like pencil drawing too because we can erase hehe. And yup, a time lost is a time lost. I feel it is important to reflect and to appreciate time, time we have for ourselves, time with family, time to do things that we like, time to learn, time to relax and never waste a second of it. Thank you for the food for thought! :) I wish you a great year @veryspider! By the way, have you tried Partiko? It's the best Steem mobile app! Got it! That's a pitty! Really nice to meet you! Nice graphite work! I always tip my hat to anyone who can prove his or her worth with a pencil. Your UA account score is currently 4.805 which ranks you at #1358 across all Steem accounts. In our last Algorithmic Curation Round, consisting of 206 contributions, your post is ranked at #17. Thanks, Ally :) Always such a wonderful comment from you <3 I appreciate it ! manga is too much work! i can't do it, ryry ! i'd die !!! !